Hyatt Hyatt’s 40 Property West Coast Expansion Isn’t New, But It’s Still Exciting! Hyatt’s 40 Property West Coast Expansion Isn’t New, But It’s Still Exciting! Hyatt Regency Huntington Beach, CA. Anyone who has read this site for any length of time should know that I am a Hyatt fanboy. Their top-tier Globalist status is incredibly rewarding and is the only elite status that I earn THE.HARD.WAY. While Hyatt does treat top-tier elites very well, the one HUGE drawback of being loyal to them is their property portfolio. The simple truth the past few years is that Hyatt’s growth simply hasn’t been fast enough given the mergers and growth of their competitors. 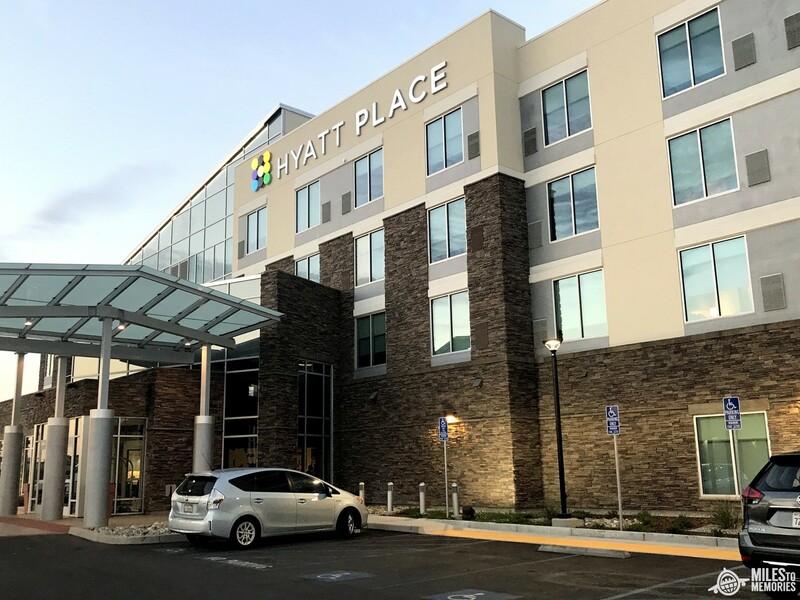 Additionally, most of their growth in the United States prior to 2019 was in the limited service segment with Hyatt Place and Hyatt House. Don’t get me wrong, I love me a random Hyatt Place in the middle of nowhere, but for the most part my Globalist status is wasted at such properties. Thankfully Hyatt has shown a strong commitment to growth the past year by adding new properties internationally and also forming partnerships. A great example of that is their inclusion of some Small Luxury Hotels of the World properties in World of Hyatt. Still, they fall short when compared to Hilton, Marriott, IHG and others, especially outside of major cities in the U.S. While many of their problems will remain unsolved for now, Hyatt has announced a big commitment to growing on the West Coast. Over the next couple of years they will open 40 properties in California, Oregon and Washington and some of them are really cool. Let’s take a look. Note: Many of these properties have previously been announced, but it’s nice to see what the big picture will look like. Park Hyatt Los Angeles concept art. Courtesy of Hyatt. Park Hyatt Los Angeles at Oceanwide Plaza (Calif.), 184 guestrooms. Park Hyatt Los Angeles Residences at Oceanwide Plaza (Calif.), 164 residences. Yes, this is technically one property split into two, but the Downtown Los Angeles location is exciting. Unfortunately, this one is not going to be cheap. Grand Hyatt SFO concept art. Hyatt only has one Grand Hyatt property set to open on the West Coast, but it’s a big deal. Grand Hyatt at SFO (San Francisco, Calif.), 351 guestrooms. The Grand Hyatt at SFO will be located off of the Airtrain making it an on-site hotel. It’s expected to open this Summer. Andaz Palm Springs concept art. Courtesy of Hyatt. Andaz is one of my favorite brands and there is a new one coming to a market that already has a couple of decent Hyatt offerings. Set to open this Fall, this hotel looks very cool. It is located in Downtown Palm Springs and has a very modern and pleasing exterior. I can’t wait to see what the finished product looks like when it opens. Hyatt Centric South Beach Miami. Courtesy of Hyatt. Not surprisingly Hyatt has big plans for their newish Centric brand on the West Coast. There are currently plans for four new Centric properties with three opening in California and one in Oregon. Between this Centric and the new Regency and Hyatt Place locations (see below), Portland is really coming into its own when it comes to Hyatt properties. It’s also nice to see another Downtown Sacramento option along with another Los Angeles property. Hyatt will be opening up a number of other full service properties under the Hyatt Regency, Thompson, Joie de Vivre and tommie brands. Some of these hotels looks really nice. As mentioned before, the Regency in Portland will be a welcome addition since it’s close to their convention center and sports arena. Some of these partner brand hotels look very very nice as well. Expect the Hyatt Place properties to look something like this! No big expansion would be complete without a ton of limited service options opening. Unfortunately 25 of the 40 properties Hyatt is touting are Hyatt Place and Hyatt House. Don’t get me wrong these brands are very competitive, but there is very little uniqueness across properties. You can find the full Hyatt press release here. Many of these properties were previously announced, so Hyatt has basically just compiled the list for marketing purposes. With that said, it’s nice to see the big picture of Hyatt’s plans on the West Coast even if they are still mostly limited service. What are your thoughts? Do any of these properties stand out to you? Let us know in the comments! If that Vacaville Hyatt Place is a Cat 1, I’ll totally go weekending on points with the kids to help achieve Globalist. Also excited about the Sac Airport and downtown options, not to mention the SFO Grand Hyatt, which I *really* hope is Cat 4 property. Maybe this is sour grapes, but I’d kinda hoped for a little more in Washington state.